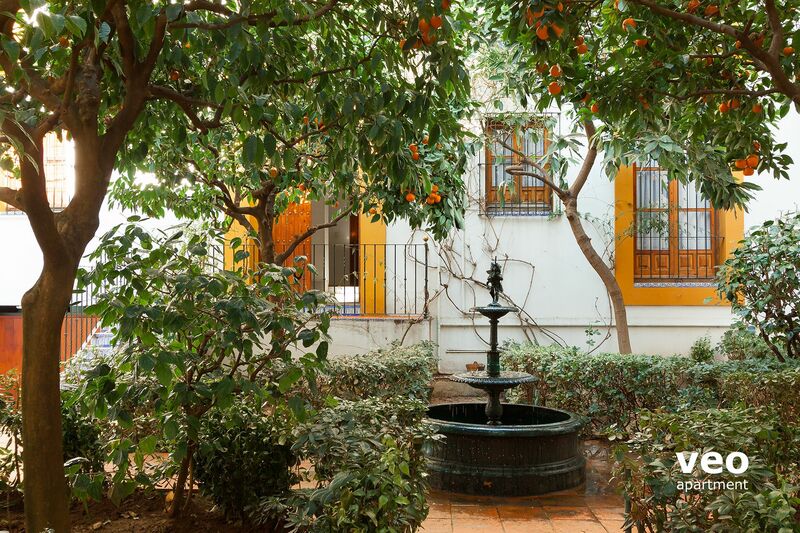 Typical Sevillian house located in the very centre of Santa Cruz, built around a wonderful plant-filled courtyard with orange trees and a central fountain. 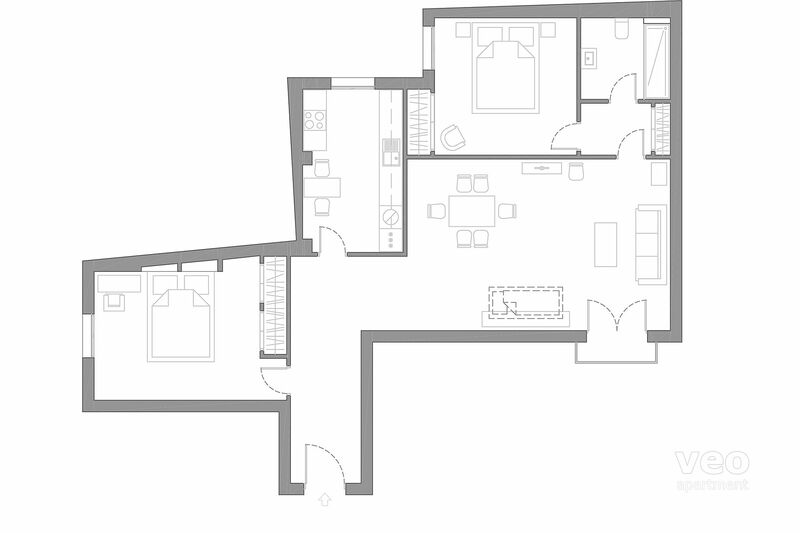 The apartment has two bedrooms with double bed and an open-plan living space, which includes a dining area and a pull-out bed for a fifth guest. 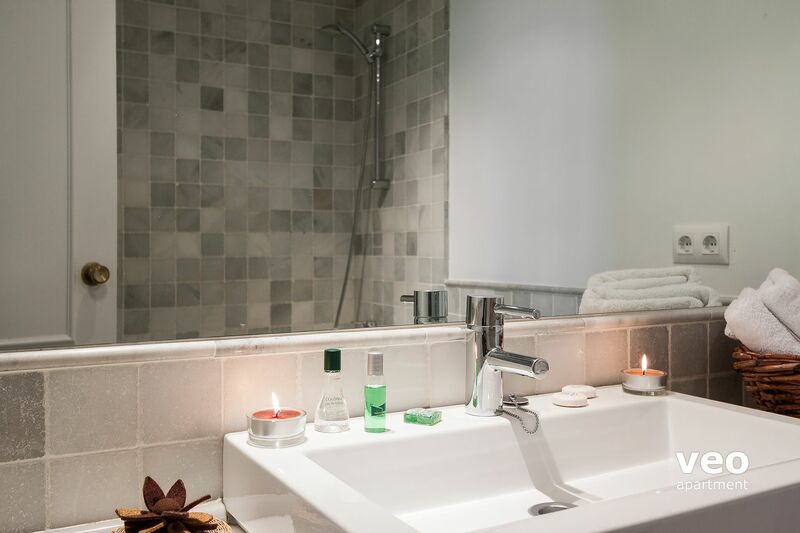 There is a well-equipped kitchen for self-catering and a marble-tiled bathroom. Other features include satellite TV, air-conditioning (hot/cold) and wi-fi internet access. This spacious and airy apartment has plenty of natural light from the windows and balconies facing the patio. Set in the heart of the famous Santa Cruz district, in Plaza Santa Cruz, it enjoys a wonderful central location and yet is extraordinarily quiet. There is private garage parking available on request for an extra charge. 14:00 - 24:00pm. Early/late check-in is possible but subject to availability. Daily rate: 14 EUR. Private parking garage in the building. Small/medium-sized vehicles. Reservation by email required. "A dream stay in Seville." This apartment in the Santa Cruz area exceeded our expectations by far. It was very attractively furnished and gave the feel of someone's home rather than a rental. The kitchen was newly remodeled and furnished with complete sets of dishes and flatware which is most unusual for a rental. The beds were comfortable and there were amenities throughout such as a large drying rack for laundry, nice lighting and other touches which made our stay even more pleasant. The location is excellent and the windows allowed for much natural light during the day. We would have a difficult time finding a place that would top this if it is not available for a future stay. The apartment is great, even better than the photos suggest - large and airy and beautifully decorated. The view from the living room is especially lovely. The kitchen is brand new and well equipped. The area is picturesque though rather touristy but all the windows are towards different smaller courtyards so it was very peaceful. We were very comfortable as a family of four. Mariano the owner made every effort to help us with our queries and even brought additional bed linen when we asked. 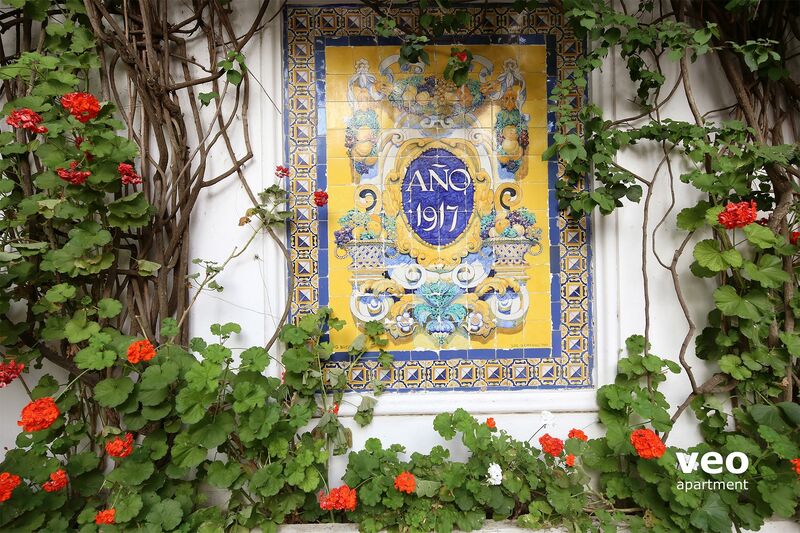 A perfect place to stay in wonderful Seville. Communication with Veo was excellent and check in straightforward and comprehensive and friendly. The apartment is ideally located in the heart of the city, immaculate, comfortable, comprehensively equipped and quiet. We just loved it as did some English friends who came to stay with us for a few days. "Sehr empfehlenswertes Apartment mitten im Zentrum, aber sehr ruhig gelegen." Dies war unsere vierte Buchung über Veo. Wir waren wieder sehr zufrieden, Buchung, Betreuung vor Ort und Lage und Ausstattung der Unterkunft waren diesmal perfekt. "Serenity in the middle of it all!" Mariano's apartment was exactly what we'd hoped it would be....quiet, secure, peaceful and perfectly located. Should we return to Seville, we would absolutely stay in the exact same spot! Mariano was a delightful and helpful host and the space was well equipped with all we needed for our holiday. Wonderful location, spacious for a couple. Highly recommend this quiet, clean apartment. Superbe appartement très bien situé et tout confort. Accueil très sympathique de Mariano. En la mejor zona de la Sevilla histórica, barrio de Santa Cruz, se trata de un piso amplio que da a un precioso patio repleto de naranjos, tranquilo y al abrigo de miradas exteriores. Decoración muy cuidada y de calidad. El anfitrión, Mariano, muy agradable y dispuesto a facilitar nuestra estancia en todo momento. Un lugar para volver. "Nice apartment in excellent location"
The apartment was clean and spacious. It showed some wear in the bathroom and kitchen, but it was fully functional and had everything we needed, including a Nespresso coffee machine. The bed was comfortable. Heating system worked well. We loved the location in Plaza Santa Cruz - we walked everywhere. "Apartamento amplio con muy buena ubicación"
Apartamento, amplio, limpio, con todas las comodidades y a 5 minutos de la Catedral y El Alcázar. "Perfect Balance of antique charm, modern amenities, delightful and home like space, incredible walkable to everywhere location and a wonderful owner!" 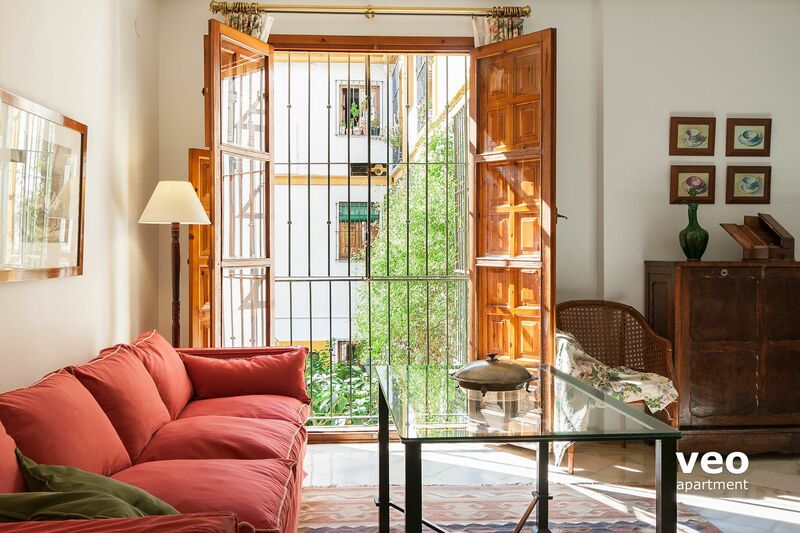 Actually, this apartment is even better in person... from the time you enter the romantic Spanish courtyard into the inviting living and dining area, sit down on the comfortable sofa and you realize you are listening to the sound of a fountain outside the large viewing window. Sometimes pictures cannot capture the personal feeling of a space. We walked everywhere...the location was ideal..quiet, safe, yet close to monuments, restaurants, the Flamenco Theater (what a treat), etc. And the owner! Mariano picked us up at the train station and introduced us to this incredible Apartment; he gave us additional information and mentioned the area of the "Mushrooms." Metropol Parasol. Very unique and so happy we went to see this architectural highlight. Seville is a very special city and we were very fortunate to be in a very special accommodation! 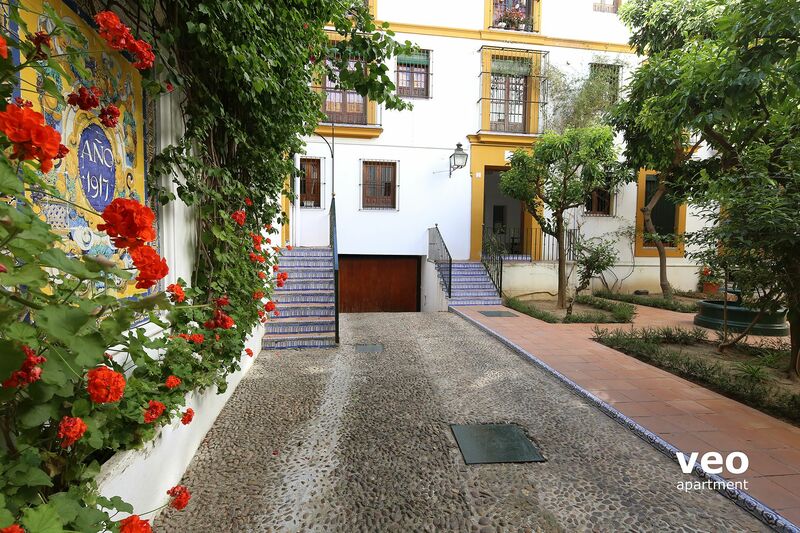 Best location in Seville, quiet and yet close to everything. Apartment was clean and beautiful decorated. Friendly and helpsome host ... Thank you Mariano! "Appartement bien situé mais tarif à réajuster"
Bonne literie, équipement de cuisine minimum (manque quelques plats et casseroles) mais bon on s'attend probablement à ce que les locataires fassent tapas et restau tous les soirs. Le rapport qualité prix est quelque peu sur-évalué ( nuit et parking 124 Euros). Le tarif de 110 Euros voire 100 Euros (nuit et parking compris) semble plus convenable. L'immeuble mal isolé, le bruit des voisins est un réel inconvénient. Très bon accueil du propriétaire. A souligner également la gentillesse de la personne en charge du ménage de l'appartement. "Appartement où l'on voudrait habiter, on s'y sent bien"
Très bonne situation, très central, on oublie la voiture. La literie est excellente lit de 2m pour les 2 chambres, cuisine et salle de bain bien équipées, salon cosy et confortable.A recommander. Ne pas hésiter à demander des infos au propriétaire qui nous a donné de très bonnes adresses. Très satisfaits. "A Spanish feel to everything." "Loved our stay in Plaza Santa Cruz A!" Absolutely loved this unit in the heart of Santa Cruz. It was a fantastic location and easy walk to all the sights of Seville. The owner was not able to meet us at the airport but his lovely friend Georgette did and told us of some really terrific local places to go to. There was an elevator which was helpful given our luggage and the air conditioning was a blessing. The unit is nicely decorated, quiet, and really spacious. We were only two people in the unit but would easily work well for 3 or more. The beds were comfortable. Can't say enough about how special it was. Thanks for a terrific stay! El apartamento está ubicado idealmente en pleno barrio de Santa Cruz en una casa con carácter y muy tranquila. Está muy bien amueblado y decorado con gusto. A destacar la calidad de la cama. Volveremos. "The best place to stay in Séville"
Cet appartement est très bien situé, dans le quartier le plus sympathique et proche de tout. Il est calme , il y a un très joli patio . Il est très confortable, la literie est bonne et les lits sont grands. Mariano , le propriétaire est venu nous chercher à la gare et nous a donné des adresses pour les environs, des restaurants, supermarché , tout est proche et facile d'accès. Très bon séjour, équipe Véoappartment très serviable et efficace et propriétaire charmant et disponible. "Lovely apartment in Santa Cruz"
We loved this apartment. It's rather spacious and very peaceful. Mariano, the apartmetn manager, picked us up at the train station, which was very gracious of him. Plaza de Santa Cruz is one of the prettiest squares in Sevilla and I loved seeeing the orange trees in bloom. Everything worked as it should and we lacked for nothing. We'd happily rent the apartment again. Everything was working very well. 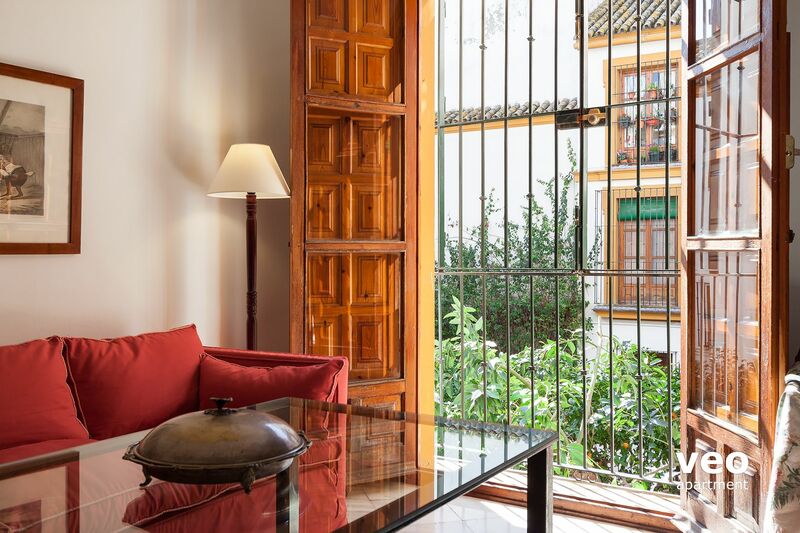 "Delightful traditional apartment around a pretty courtyard"
Attractively furnished and comfortable with all the conveniences you need in a very central location close to the Alcazar and Cathedral. Lovely old building and courtyard lend real atmosphere. Very clean and the owner was helpful in suggesting good local cafes. 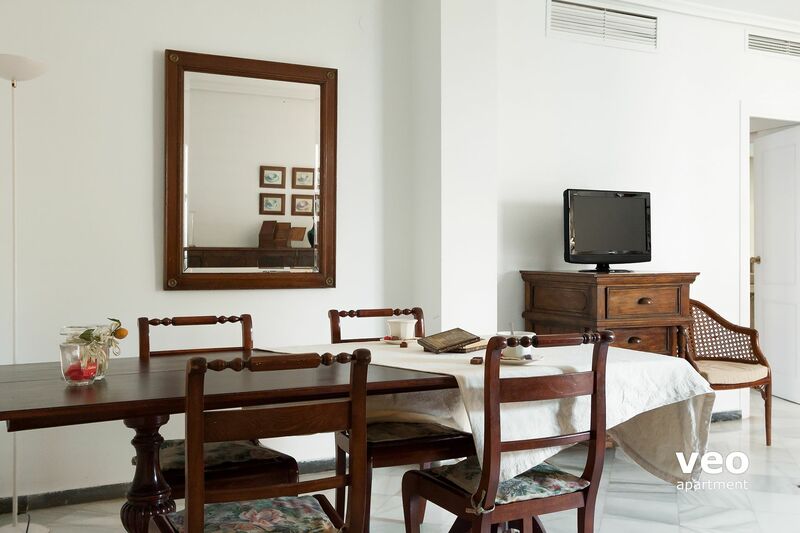 "Comfortable Apartment in Superb location"
A perfect location for exploring Seville. We had a 3 year old and 5 year old and were able to get out and about very easily. A great park on your doorstep too, as well as a Churros shop and lots of great bars/tapas. The owner Mariano was extremely helpful and kind and very quick to respond to any queries, and even picked us up from the station. We would definitely stay there again. l'apartamiento es situado cerca de todos los principales museos y intereses culturales, hay muchos bar con tapas, (espcialmente uno ROMAN) y ademas la noche tiene una totale tranquilidad... la cocina es equipada de todo, y fuemos al mercado de Triana para comprar pescado fresco que se puede preparar en la casa de Mariano sin problemas, la décoration es muy autentica, nos sentimos como en nuestra casa! -The apartment was in an unbeatable location, on a charming square, walkable to all major sights, and yet quiet. Spacious, comfortable, and well-equipped apartment. Mariano was charming and gave us a great orientation to the city despite limited English. We loved our stay there! 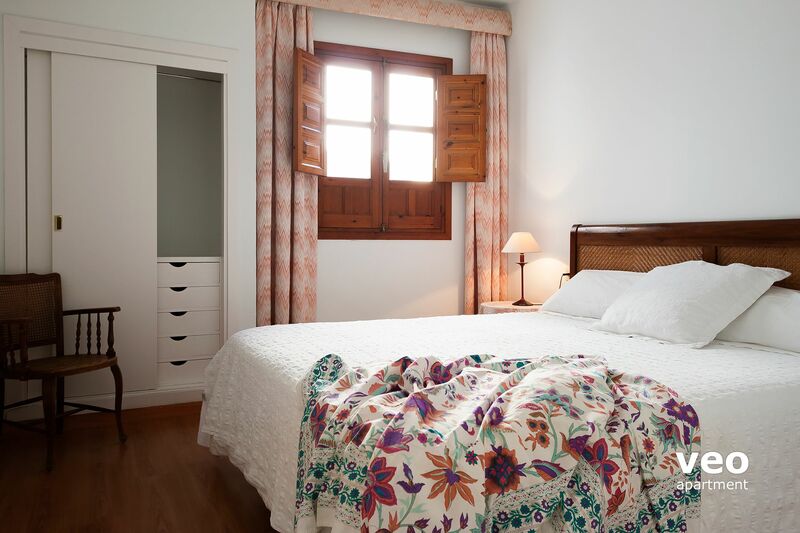 "Ideal location for exploring the historic centre"
Spacious, bright apartment on the edge of the Santa Cruz district -- an ideal location, minutes from the main sights yet very easy to reach by car. On-site parking for a small (repeat: small) car -- a rarity in central Seville. Shops and restaurants nearby: we ate 3 times at Vineria San Telmo, 2 minutes away on foot. No street noise. Spotless and well equipped. Delightful owner who speaks some English. Great WiFi. 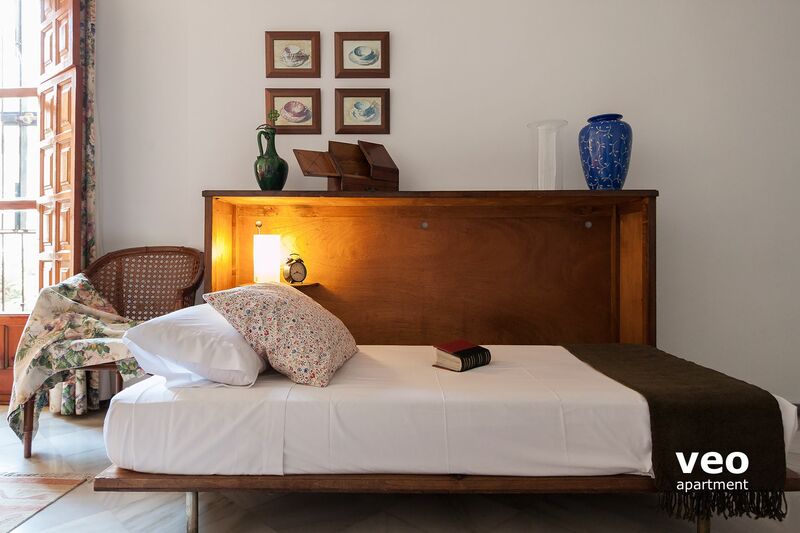 Ideal for older renters like us, who prize quiet, atmosphere and class over a more hip vibe. Bath and kitchen are slightly worn but the wear is gentle. Overall, the place feels decidedly posh. "Excellent apartment in gorgeous, quiet location." Nothing more to say; everything was excellent. We very much appreciated Mariano offering to pick us up at the train station, and for all of the apartment information and local advice he gave us. "Absolutely fantastic - cannot recommend it more highly!" It was certainly a place we would like to return to and would certainly recommend it. The location could not have been more perfect. It was so spacious, extremely comfortable and the host was so helpful in collecting us from the station and dropping us off. He spent valuable time with us explaining the area and the best spots to visit. Small details like the amazing linen, cupboard space and washing machine were a real treat for us. I cannot recommend it more highly! This apartment is ideally situated, spacious, and immaculately clean. Our host was most courteous and helpful. Truly pleasurable. The apartment is centrally located. Walking distance to all attractions. Apartment is spacious and well kept. Owner was friendly and very helpful with helping us navigate the city. My family and I really enjoyed our stay. The apartment is right in the centre of town yet is accessible by car and has a parking space. It is spacious and well equipped. It is in a traditional house with a lovely court yard. We loved it! I would rent this apartment again! "Fantastic spacious apartment in best area"
this apartment was so spacious and well equipped! The manager was so sweet and took alot of time to show us around and get us settled in. He also recommended some great restaurants. The location was perfect and very quiet. We found this apartment an ideal base to explore the old district. It was clean and well equipped. The owner was very helpful and also gave some suggestions for places to go and places to eat. He speaks a little english...over all good value considering the location...would we come again..?...yes.. We loved our stay in this lovely two bedroom apartment. The apartment is bright and spacious, spotlessly clean, and nicely furnished, with very comfortable beds. And it is perfectly situated in a quiet plaza in the Barrio Santa Cruz. We walked to all the sights, and there are some excellant tapas bars very near by. Our host was very helpful, picking us up at the nearby bus station, providing maps and restaurant recommendations. I would definitely stay here again! This was our third stay at Plaza Santa Cruz A, and we are heading back again in Holy Week to enjoy this relaxing, spacious, comfortable apartment again. As ever, the owner was attentive and obliging. Although La Plaza de Santa Cruz is a top tourist spot, and many large groups wander through each day, it remains surprisingly quiet and tranquil, day and night. Staying here truly like being in an oasis in the midst of the hubbub of the rest of the so-called "Jewish Quarter," where at times one can barely move from point A to point B through the crowds! Although the kitchen is on the small side, it is more than adequate even for cooking a full meal, which we did each day. The bedrooms are large with plenty of closet space, and the beds are very comfortable. The central heating and cooling system works very well (although not so much in the front bedroom where a space heater is provided to take up the slack). The whole space is full of light. Extremely well-situated for all the major monuments and activities in the 'casco antiguo,' city center, and 'arenal and Triana, it is a slightly longer walk to other areas of the city worth seeing--Macarena district, San Vincente, San Lorenzo, Alameda de Hercules, etc... but at a normal pace, those areas are all easily reachable in 20-30 minutes of delightfully interesting walking. The price of the apartment corresponds to its location and is truly an excellent value for all the space and amenities. Ideal location yet peaceful. A spacious apartment with a 'Spanish' feel. Clean. Comfortable bed. Good hot water supply. Only criticisms are; kitchen rather tired, lacked adequate cups & mugs, sink awkward due to cupboards over, no information on emergency numbers or contacts, TV channels, local supermarkets etc. An 'Information Folder' would be helpful. Owner very pleasant and helpful, arranged airport pick up and drop off. Would recommend. Plaza Santa Cruz A was perfect four our one-month stay in Sevilla. Fully equipped, comfortable, clean, windows open onto three patios, excellent kitchen, very nice furnishings. The apartment owner picked us up at the train station and dropped us there when we left. Very helpful and friendly! "Wonderful, spacious apartment in perfect neighborhood"
We loved everything about this apartment; its quiet location just steps from a lively neighborhood, plenty of space, wonderfully equipped, with a host who was helpful and attentive. 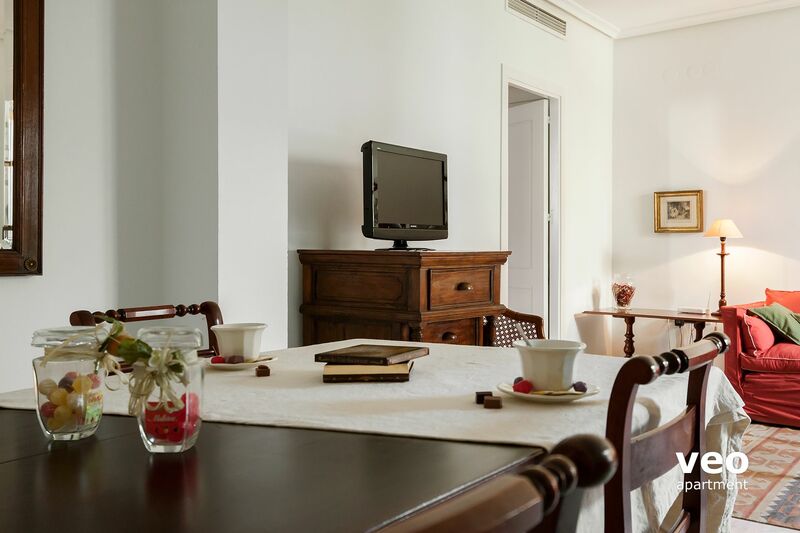 "Great location and great apartment made this apartment a perfect place for our stay in Seville." The owner is wonderful. He picked us up at the train station, went through the entire apartment with us, pointed out all sorts of places on the map (including the grocery store) and showed us how to work the washing machine and the stove. 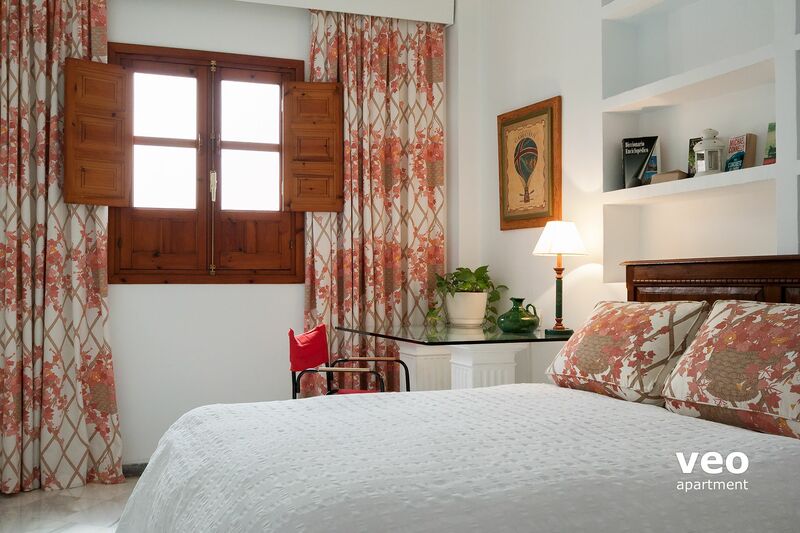 The apartment is located on a quiet plaza with easy (5 minute walking) access to the happening places (Cathedral, tapas bars, flamenco, etc.). The apartment was clean and well furnished. We enjoyed the space and location of the apartment. Would highly recommend it! "Excellent apartment, very convienent with everything we wanted." Could not fault the apartment or the service of the owner. We were picked up at the train station and taken to the apartment. Any problems were fixed immediately. We loved staying in Seville. Situation géographique idéale pour visiter à pied les principaux sites de la ville, accueil sympathique du propriétaire. Appartement grand, confortable et bien équipé. Stationnement sur place. 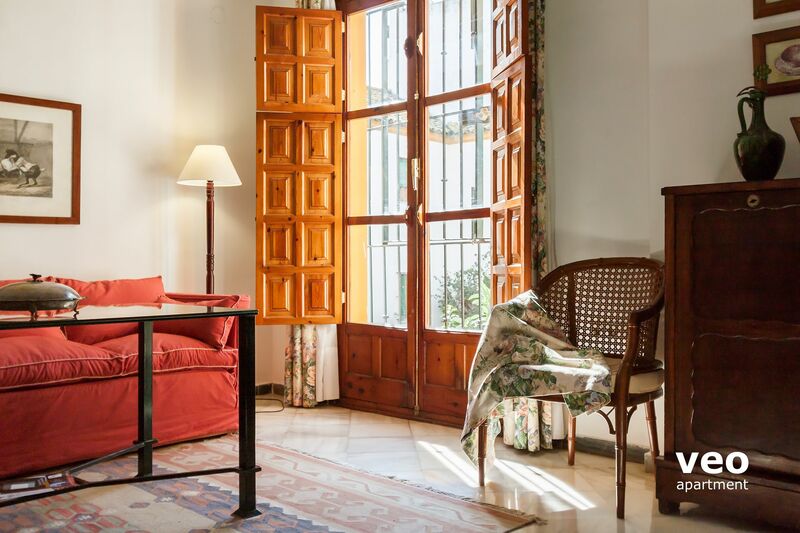 "A great apartment for a wonderful Sevillian holiday as it had everything we wanted!!" The apartment was spacious, light and airy. It was decorated nicely and we would definitely rent it out again if we were to return to Seville. The owner was very kind and provided us with a transfer to the apartment. He was very nice to deal with and always responded to any queries as a priority. He was a pleasure to deal with. It also had everything we wanted and the location was just brilliant! We walked to most attractions with a young child from this apartment. The Supermarket is less than a 10 minute walk away and only minutes from lots of lovely restaurants and shops. It was just fun to get lost in the charming streets only a moments walk away from the apartment. The kitchen was well serviced with lots of cooking utensils and we were provided with everything we needed for a very comfortable stay. "A perfectly located, beautiful, quiet apartment"
It was a wonderful stay and the owner is very kind and helpful. 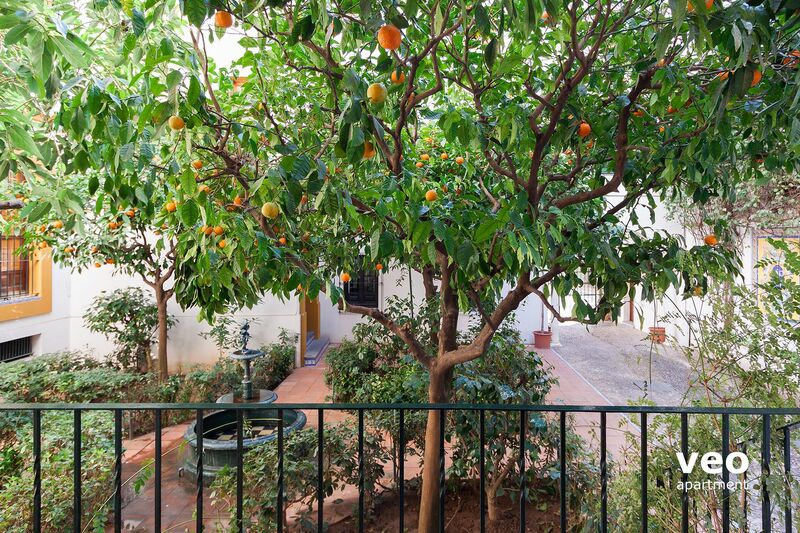 The apartment is full of antiques and located in the center of town, surrounded by orange trees. Apartment met all expectations - comfortable, clean, central and lovely decor. Staff very helpful and considerate. Great Place, very central. Clean apartment with all the supplies needed for a pleasant stay. Highly recommended. 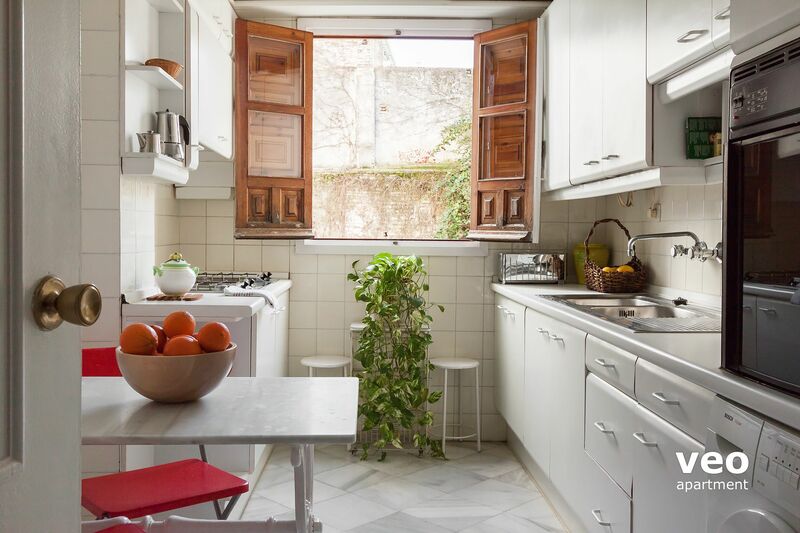 "Perfect location in the Santa Cruz area for exploring Seville"
We visit Seville on a regular basis from Portugal and normally stay in a hotel. This time, because our daughter was joining us from the UK, we decided to rent an apartment. We had an enjoyable 3 nights. 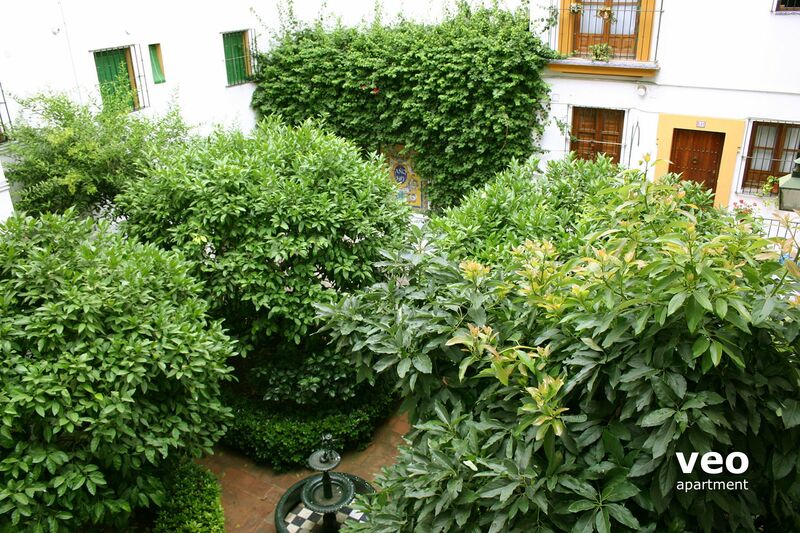 The apartment is in the best location, Santa Cruz, to explore Seville. Also, our sat nav managed to get us straight to the apartment, which in a place like Seville with all its small streets/lanes is fantastic. We were met by the lovely host at the apartment who was very informative/helpful. "Perfect location to explore Seville." We very much enjoyed our stay in this apartment. Spacious and comfortable. We would recommend the apartment to our friends. Only one small complaint - one of the lights outside the apartment door was broken and it was difficult to find the keyhole in the dark! Excellent location. Within easy walking distance to the Cathedral. Spacious apartment with good amenities. Very little noise at night. The manager of the apartment was very helpful, meeting us outside and helping us to park our car in the underground garage. Couldn't ask for more. This is a beautiful apartment in an area that is right in the heart of the historic centre, yet quiet and surrounded by gardens. "Lovely apartment that exceeded our expectations. Markus at Veo and our host went out of the way to make our stay perfect!" We thoroughly enjoyed our stay. Location was perfect and we enjoyed making salads and bocadillos with beautiful local ingredients. The central air conditioning was a big plus and we slept very well. The washing machine was easy to use. Mariano met us at the train station, picked up maps and tourist info for us, and was kind enough to give us directions on the map. He is lovely. We would highly recommend staying here, and also using Veo. Thank you! "Great location and great accommodation"
We were welcomed to the apartment with someone meeting us at a local parking station. The orientation was very good and an offer to take us to the airport at the end of our stay organised. We would definitely recommend this accommodation as it was close to really good restaurants and important sites. Très bel appartement, tel que montré, et plus spacieux que nous nous y attendions. Beaucoup de commodités dans toutes les pièces. On pourrait s'y installer pour plusieurs semaines. Très tranquille et très propre. Seul point négatif, nous avons trouvé que le matelas du lit était dur. Le propriétaire parle très peu anglais, mais on réussit tout de même à se comprendre. Il est très gentil. Il y a un parking privé au sous-sol de l'immeuble (14 euros par jour), mais l'espace est très exigu et coincé entre un mur, une voiture et une colonne à l'entrée de la place de stationnement. C'est le propriétaire qui a garé notre voiture à l'arrivée. Parking pour petites voitures et excellents conducteurs seulement. Sinon, il y a un parking public à 5 minutes à pied (environ 20-25 euros par jour). L'accès en voiture à l'appartement se fait par une rue réservée aux résidents, mais on peut l'emprunter compte tenu qu'on y séjourne quelques jours. Le GPS indique bien le chemin pour s'y rendre. Il y a un petit « Super market » à moins de 10 minutes à pied. Si vous avez une voiture, il y a un grand supermarché Carrefour à 10-15 minutes en auto (accès facile avec GPS). Je recommande cet appartement sans réserve. Nous y retournerions avec plaisir. En terminant, j'aimerais souligner la fiabilité et l'excellent service offert par Veoapartment. Merci pour tout! Beautiful apartment in an excellent location. The apartment was roomy, quiet and with everything could could possibly need. The apartment owner collected us from the airport and was fantastic at recommending things to do and see. 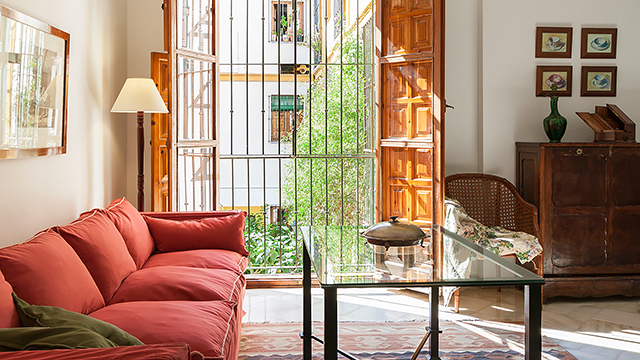 We loved Seville, and loved our stay in this beautiful apartment. "Lovely apartment, comfortable, tastefully decorated and quiet." Excellent -well placed for walking Around the city of Seville. The owner was very helpful picking us up from the station. Good eating places nearby. Very comfortable and would highly recommend this apartment. 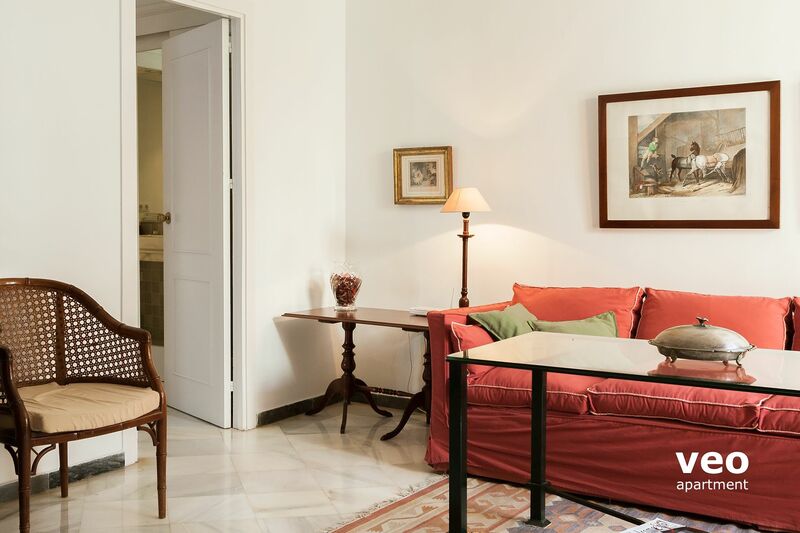 "A great apartment in a fantastic location"
The apartment proved to be a great solution for our visit to Seville. It was roomy, well equipped, well maintained, comfortable and more than adequately catered for a family. The location was superb and the key reason behind our stay there, our choice being a balance between location, finding accommodation to cater for a family, and value for money. The owner was more than helpful, he obviously cared that we enjoyed our time in his city and his assistance on our arrival into Seville really set the tone for our stay. His recommendations proved to be spot on. This was the last of 4 apartments that we rented during our holiday in Spain and proved to be the best. Very highly recommended as an apartment and I would stay there again. I can't recommend this more highly. We are pretty fussy travellers but I can't think of anything that was less that perfect - the location, elegance, comfort, style, convenience, access, kitchen equipment etc.It was a lovely place to spend time in when we were footsore. The owner not only collected us from the train station and took us back there, but also ran our daughter out to the airport when she left before us. He could not have been more helpful. 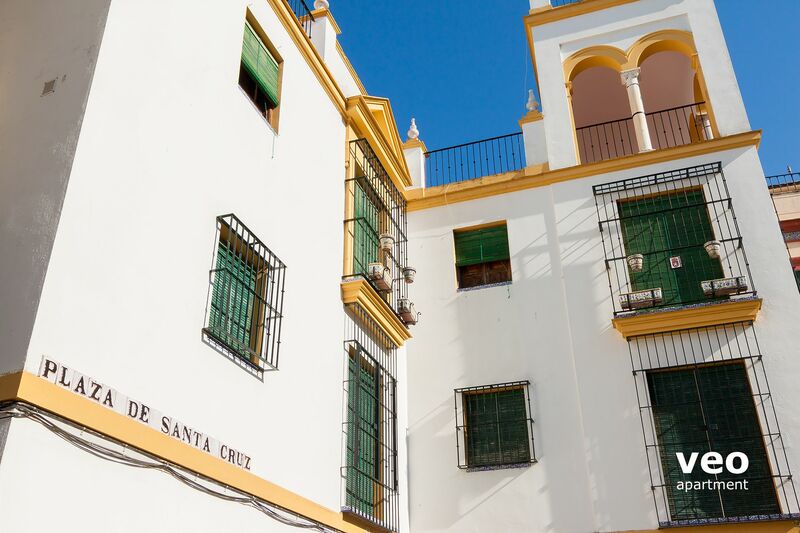 We had stayed in Santa Cruz A once before and were eager to stay there again on our next trip to Seville. During the Christmas/Epiphany holidays we returned and again had a wonderful experience in this clean, comfortable, well-equipped and well-located apartment. The owner met us at the airport and was eager to be of help in every way. We will stay here again, the next chance we get. "Appartement spacieux et très agréable dans un des quartiers les plus pittoresques de Séville." Appartement spacieux et confortable : Deux grandes chambres. Appartement situé dans un petit immeuble Plaza Santa Cruz en plein centre ville, dans un des plus beaux quartiers de Séville. L'appartement est très bien situé, au calme absolu. L 'appartement est très spacieux, bien agencé. Staying at Santa Cruz in our opinion was the best location we could have been in. Although we were close to the main road, the location was very quiet as we had the beautiful gardens in between the Apartment and the road. The apartment was secure and gated which added to the charm of it all, and we were only a few seconds away from the old passageways that led to the historical part of the City. There was such a lot to see and the horse and carriage trip is definitely worth doing. A highlight of our holiday. "Relaxed stay and trouble free stay in Seville..."
Great place to stay if you're ever in Seville. The owner of the apartment met us at the train station and drove us straight to the apartment for check-in which was super and relieved any anxiety about finding the place. Location was perfect and the area is really quiet. Close enough to walk to tourist sites but outside the hustle and bustle. Also a great churreria place nearby for breakfast. "Lovely apartment in great location"
Apartment was roomy, well equipped, very Spanish. The location was great & very quiet but close to great restaurants & bars. Car parking is definitely for a small car not medium size which we had which made parking very interesting! Un vaste appartement avec des planchers de marbre à la grandeur! Lit king ultra confortable dans la chambre des maîtres (ce qui est très rare en Europe). Localisation idéale dans l'ancien quartier juif de Santa Cruz, tout près des Jardins de l'Alcazar et à 5 minutes de marche de la cathédrale de Séville. À moins de 10 minutes à pied de la Plaza de España. Un des rares appartements offrant également un stationnement pour voiture petite à intermédiaire. Un mot pour résumer le tout : Idéal! 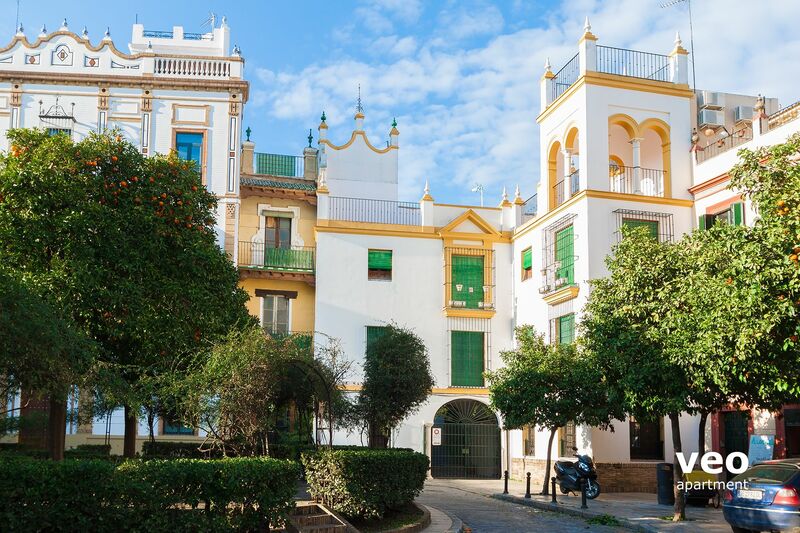 Plaza Santa Cruz is in a perfect location for exploring the old town and key sites of Seville. "A lovely stay in a spacious, comfortable, secure appartment in a quiet corner of Santa Cruz"
What a find! An elegant apartment with two very comfortable bedrooms and a decent sized kitchen you can actually cook in... Everything clean, neat, and easy. The area is very quiet and the apartment has a secluded feel, something hard to come by in noisy Seville. Mariano, the building manager, picked us up at the airport, a courtesy we had not anticipated but were very grateful for. He also went the extra mile (on Christmas Day!) to be sure the broken wi-fi we encountered on arrival was quickly repaired, and he was most attentive throughout. We are very familiar with the city and needed no advice or hand-holding, but we knew Mariano would be there for us in the blink of an eye if we had needed anything at all. The only "minus" in the apartment that is worth mentioning is the relatively weak water pressure in an otherwise well-appointed bathroom. But we managed just fine in the shower anyway. Seville in the Christmas/New Year's/Reyes season is absolutely delightful, and our stay in Plaza Santa Cruz A made it all the more special. We would choose this apartment again, and recommend it to our traveling friends. Excellent appartment - spacious and clean with helfpful friendly owner. Great central location. We had wonderful stay at this apartment. The owner was very kind and he allowed us to use his cell phone during our stay in Seville. 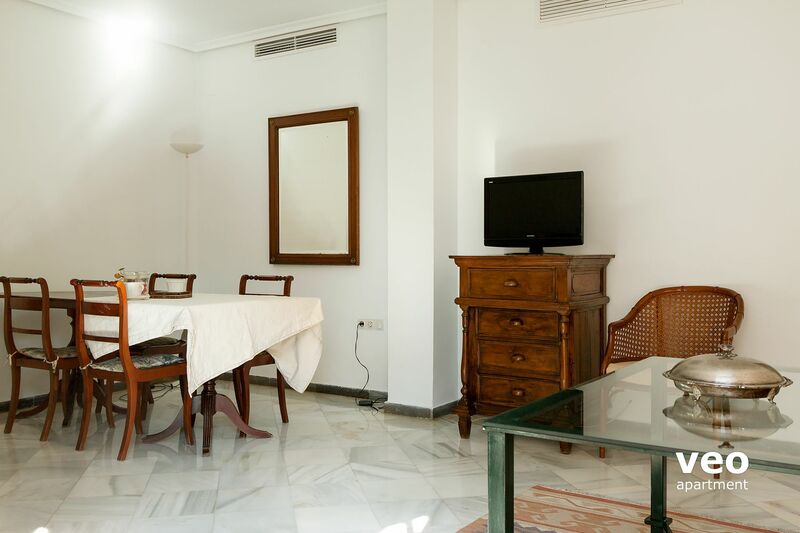 The apartment is with in walking distance of all the major sites of Seville. It is clean and comfortable.